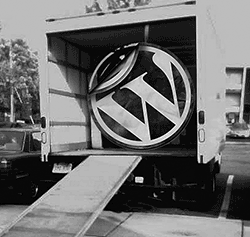 Moving a WordPress site can be a daunting task if you’ve never done it before. Heck, even if you have done it before, it can turn into a nightmare if you encounter something unique in an individual installation. If you’d like to move WordPress to a new host (“hosting company”) or URL, here are the instructions from WordPress.org. If you are the average blogger / computer user, you’re not going to be thrilled. It’s a dry read. We have a feeling it was written by computer geeks. Why bother when we can move it for you? We will move your WordPress site to a new hosting company for only $99.00! In addition, we offer a 48 hour turnaround time, or it’s 100% free of charge (for orders placed Monday through Friday only). If you are currently paying too much for hosting, or are simply dissatisfied with your current hosting company, let us take the worry and stress from your shoulders. And guess what? We are going to call you to discuss it before we do anything. From right here in America. We don’t have a call center. In fact, we are usually working so much, we often can’t get to our own ringing telephone. If you’d like to speak with us, fill out the form below and we will call you back. This is Jeff. He’s going to be the one moving your site. 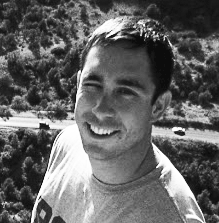 Jeff was born in N.Y. and raised in Michigan.call you. What if I want to move my website to a new URL (different domain name)? However, if you are changing domain names, it is highly advisable that you redirect all of your old URLs. We will happily create the 301 redirect file for you, which will insure that no links from your old site will be broken. If a visitor goes to an article or page with your old URL, we will make sure they are automatically taken to it’s twin on your shiny new domain. When done correctly, you will not lose any ranking positions with the redirect- or, if you do, it is usually temporary. There is an additional charge for us to create the redirect file and it’s dependent upon the size of your website. If that’s a service you need, check the appropriate box below and we will address that for you.